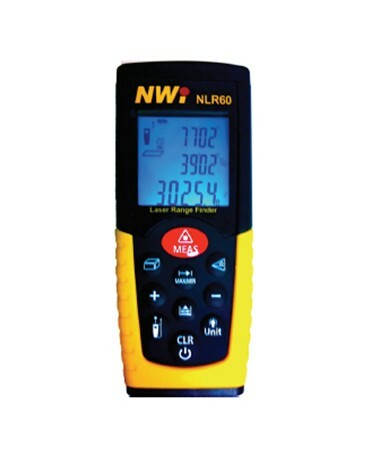 If you are tired of dealing with measuring tape and climbing up ladders to access hard-to-reach areas, the Northwest Instrument NLR60 laser distance meter is for you. Small enough to fit in a pocket or clip onto a tool belt, this handheld device uses a visible laser beam to determine distances. Digital measuring devices eliminate the need of a second person to help in construction projects and enable quick measuring and calculating while yielding accurate results. The Northwest Instrument NLR60 can measure up to 164 feet with an accuracy of ±1/16 inch. Measurements can be taken either from the front or back of the tool, and results are clearly displayed on the 3-line backlit LCD display in meters, feet or inches. To increase the measuring range, a target plate can be used in bright sunlight or when your target has poor reflective qualities. Shortcut keys make for easy addition and subtraction, as well as quick area and volume calculations. The continuous measurement function allows for movement of the portable device while measuring and min/max mode measures the shortest or longest distance from a fixed reference point. When areas are inaccessible, indirect measurements are possible using the Pythagorean method. The NLR60 distance meter has the capacity to store up to 20 measurements or results, eliminating the need for pen and paper. 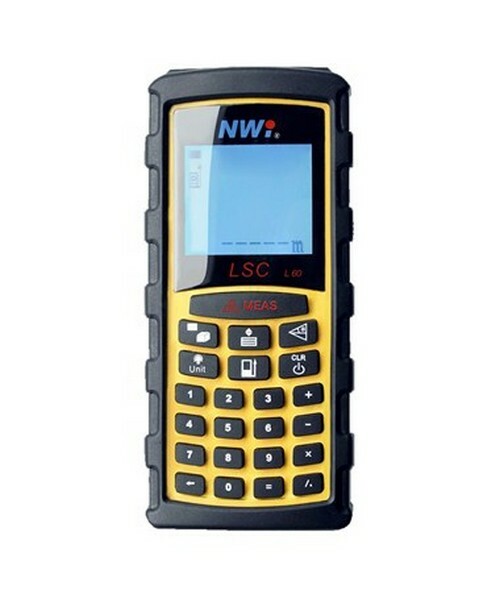 Efficiency and durability are key aspects of the Northwest Instrument NLR60. With just 2 AAA batteries, you can take up to 4,000 measurements. The battery level indicator on the display screen flashes when the batteries must be changed. In order to increase the life span of your batteries, the laser automatically turns off after 30 seconds and the instrument shuts down after 3 minutes. With an IP54 rating, your laser measuring tool is protected from dust and water, ensuring long-lasting use. Its soft keys and compact size make handling the device comfortable and easy. 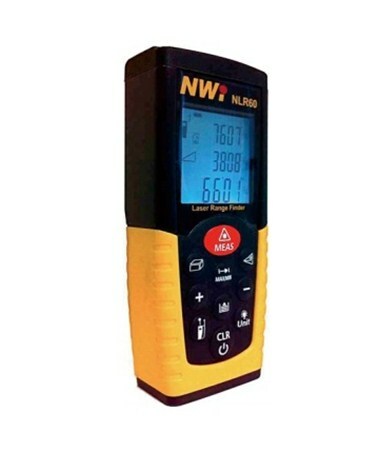 Whether you are a working in a professional industry or just looking to improve your at-home construction experience, the Northwest Instrument NLR60 handheld distance meter is a steal. It has all the necessary features and functions for measuring accurately and quickly, while remaining handy and user-friendly. A 1-year manufacturer’s warranty is included, ensuring your absolute satisfaction.